GENERAL INSTRUCTIONS: DEADLINE HAS BEEN EXTENDED--Applications and presentation descriptions must be received online by March 8, 2019. Notification of acceptance will be mailed to the main presenter in March 2019. The main presenter will serve as the key contact. Complimentary conference registration will be extended to the main presenter and one co-presenter per session. Vendor presenters must be conference exhibitors. If you have not received notification of presentation by March 23, please email dfuller@alsde.edu. A vendor must be a registered exhibitor in order to apply to present. 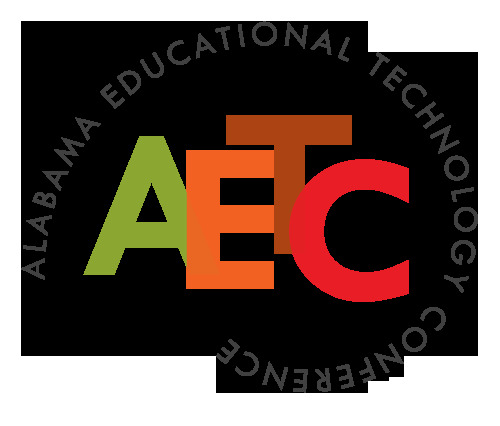 Contact: Amy Williams (aetcexhibits@mcraemeetings.com or 866-678-2382) at McRae Meetings. Brief Autobiography (1000 words maximum) This information will be used by the facilitator to introduce you, as well as in the Online Conference App. Descriptions of the Strands. Our conference strands align with the National Educational Technology Standards for Students, Second Edition, (C) 2016, ISTE (R) (International Society for Technology in Education), All rights reserved. Apple TVs and Google Chromecasts are available on a limited, first-come, first-served basis. If you have a presentation that requires this equipment, please indicate below. Upload projects, screenshots, or any other supporting material.